Very Original Triangle Plus Series. 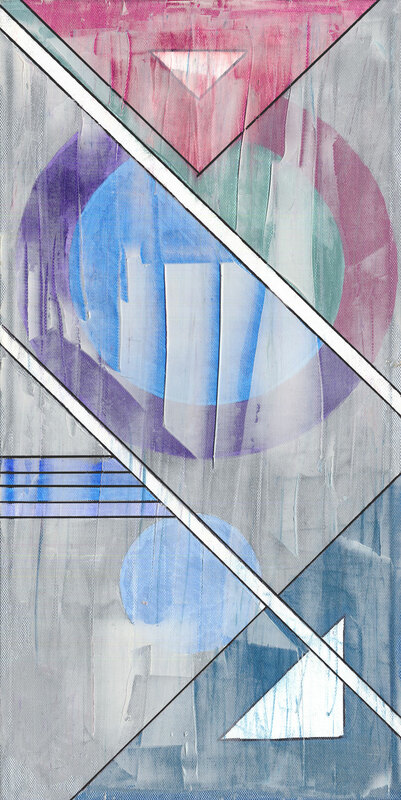 Background with Silver and White, Triangles and Circle in Blue, Purple and Maroon. Mixed markers with spackle paste overlay (muted) on stretched studio canvas.